Our Annual Alumni Mass will be celebrated at Blessed Trinity Church on Sunday, September 24, 2017 at 10:00 AM. We look forward to welcoming all Alumni of the parish school, especially the Fiftieth Anniversary Class of 1967. 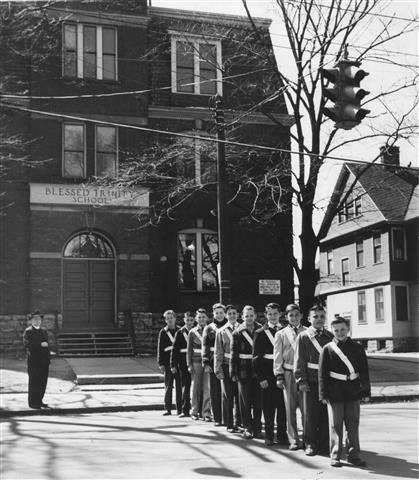 Between 1909 and 1975 more than 2,300 students were educated by the Sisters of St. Joseph at Blessed Trinity. A reception hosted by the Alumni Committee in St Charles Hall immediately following the September 24 Mass provides an ideal opportunity for alumni and friends to view or display school photos and memorabilia, reminisce and renew old acquaintances.